I know this sounds ridiculous and “well duh” but please remember to drink more water than usual. Coffee, tea and soft drinks don’t count – seriously just water and lots of it! If the sky is clear, then so should be you pee. I did a Periscope with these two a couple of weeks ago and have been loving them. I’ll probably need to repurchase when it comes to my well overdue holiday at the end of August (so excited!). 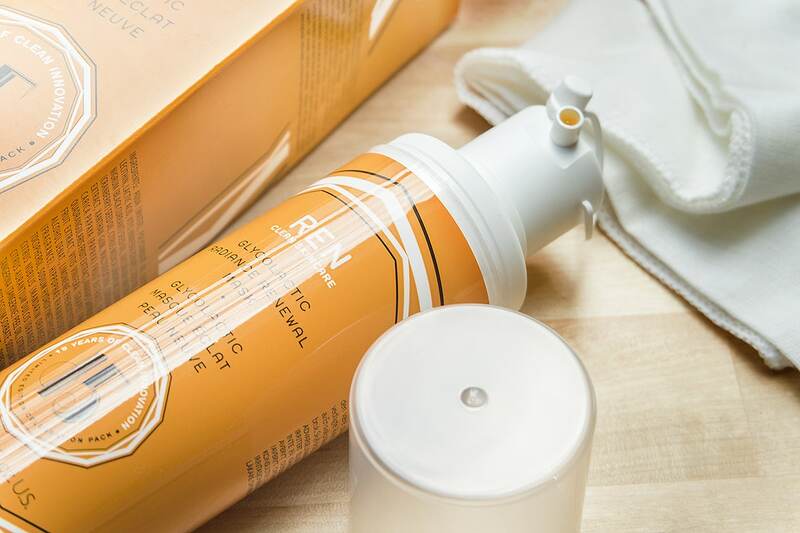 With Black Sambuca extract, coconut extracts, bambu and a whole host of other natural ingredients, this rehydrating shampoo and body wash removes sweat, chlorine, salt, sun cream and all the other ick that accumulates during a hot day. You’ll want to condition afterwards but the fresh and creamy scent is exactly what you need after a day in the sun. 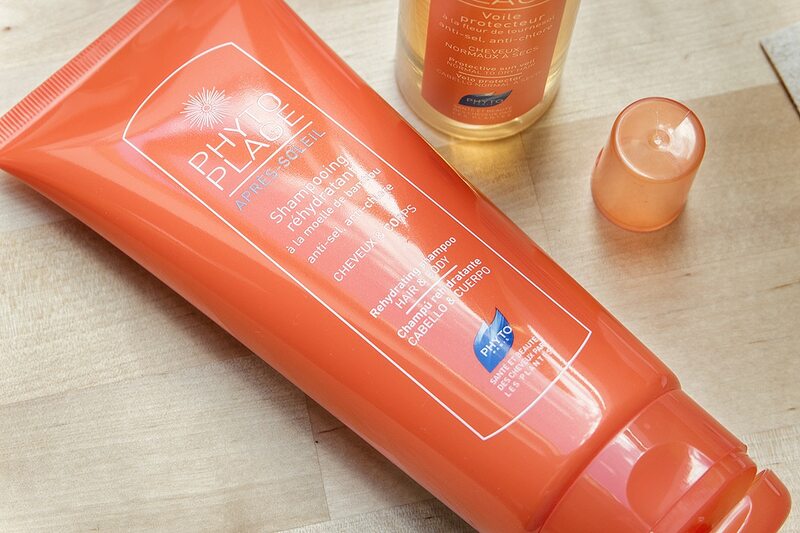 The Phyto Sun Shampoo & Body Wash is available here from Look Fantastic for £13.50 with free delivery and apparently a free gift! Spray this onto dry or damp hair and blow dry in your style, applying a light spritz when you’ve finished, to keep hair protected from the elements and particularly from the colour changing properties of chlorine! It contains sweet almond oil, sunflower exctract and hilariously, ricin extract (inert). It smells amazing. The Phyto Sun Hair Veil is £15 here from Look Fantastic with free delivery. I’m loving this lately for a whole host of reasons. Firstly, as a hair mud, it gives an amazingly flexible, reworkable and textured hold whilst being none-sticky with no stiffness. When you want a soft and easy style, just blow dry your hair into shape and run this through. But what I also love are this Taiwanese brand’s ethics and practices. The Hair Mud is 70% natural ingredients. The packaging is pretty much all recyclable and the plastic pot the mud comes in has a bamboo wood lid and degradable plastic body. The whole thing has been “manufactured by using solar power, wind power, clean energy and eco-friendly packaging”. Inside each box there’s also a tiny piece of seed paper for you to water and grow! 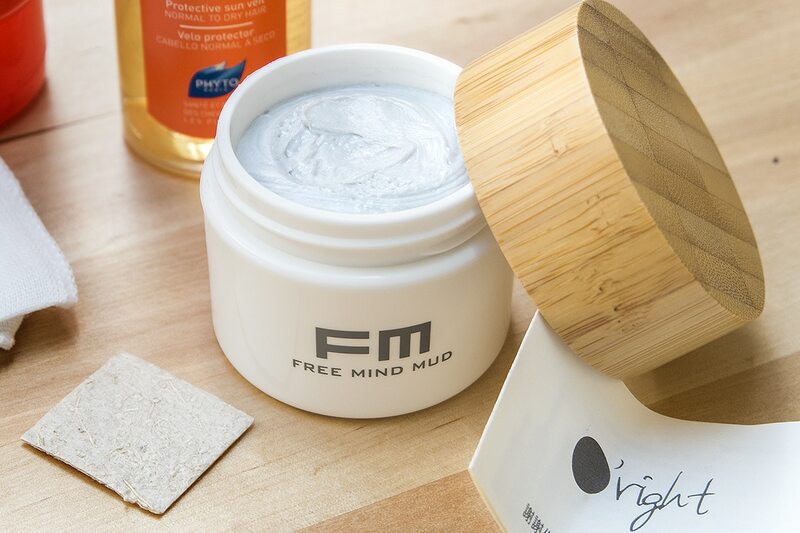 O’Right Free Mind Mud is available here from Look Fantastic for £17.06 with free delivery. Hurrah for REN who have turned both 15 and have been absorbed into the world of L’Oreal; they’ve clearly been doing something right! The Glycolactic face mask is a great product to use at the moment as it breaks down surface dead skin cells, unclogs pores and restores radiance to the skin – giving you your glow back! If you’re looking to keep a good colour during the summer, make sure to use products like this to stay well exfoliated as this leads to a deeper and more even tan. 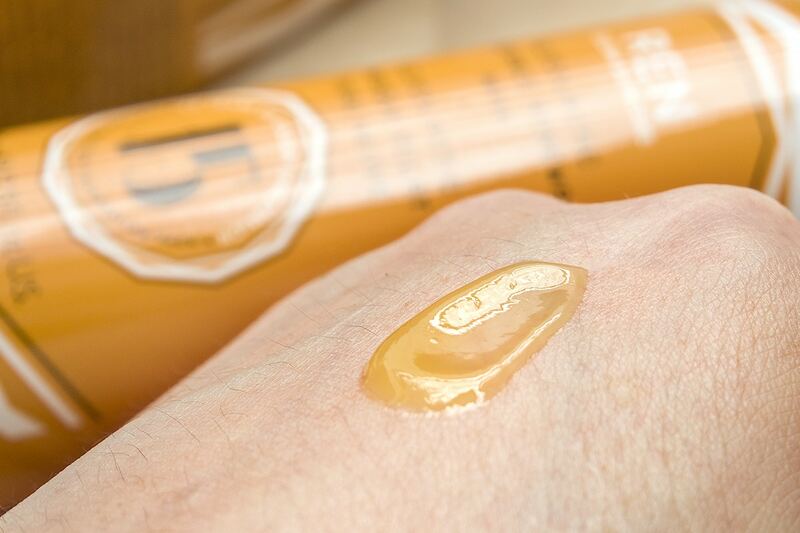 However, don’t forget to use lashings of high factor SPF! With the exfoliating powers of glycolic acid, lactic acid, citric acid and tartaric acid plus the natural enzymic astringents of lemon and pineapple; this exfoliating mask really packs a punch. Passion fruit, cranberry and grape are also in there to calm the skin. Avoiding the eye area, apply generously all over the skin, leave for 10 minutes and rinse away with warm water using the muslin style cloth provided. Seriously, your skin will be brighter than the sun! Just remember to hydrate well afterwards and keep slapping on that SPF as it can make you a little more sensitive to the sun. REN Glycolactic Radiance Renwal Mask is available for £32/75ml here from Cult Beauty (+ £3.95 delivery); here from Marks & Spencer (+ £3.99 delivery); here from Look Fantastic (+ Free Delivery); here from John Lewis (+ £3 delivery or free collection from Waitrose/John Lewis stores) and finally here from Space.NK (+ £5 delivery). This article first appeared on MANFACE written by Thom Watson. It was published on Friday 3rd July 2015 and was last updated on Monday 3rd April 2017 at 1:24pm. It's categorised under Acne, spots & blemishes, Anti-Ageing, Cleanse, Combination Skin, Enlarged / Blocked Pores, For The Weekend, Mask, O'Right, Oily Skin, Phyto, REN, Shampoo, Styling, Treatment where you'll find more related content. I don’t cope well in the heat either, I faint everywhere! I would recommend staying inside… the freezer! Omg, I’ve never fainted so you’ve definitely got one up on me there! I could NOT imagine working without some kind of fan or air conditioning – at the same time I have to hide inside because of hay fever – it’s a lose lose situation. The REN mask is amazing, it smells great, gives amazing results and weirdly, tastes kinda nice (although I don’t recommend eating it). Let me know if you try any of them out and tell me what you think. LOL – you’re totally hot, and it’s okay to admit it. But I’m the same way, my body temp is always high, and because of that I’m always the sweatiest one in the group even if I’ve only been outside a few minutes!